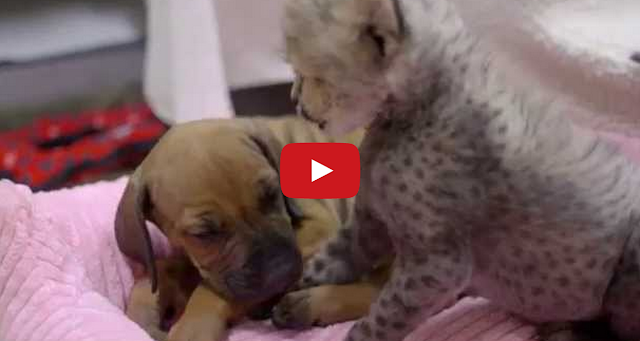 A 6-week-old cheetah cub named Ruuxa gets introduced to a 7-week-old Rhodesian ridgeback puppy named Raina at the San Diego Zoo Safari Park. Raina will be raised with Ruuxa and serve as his lifelong companion. Not bad. Wonder if they could play some other tunes from here.